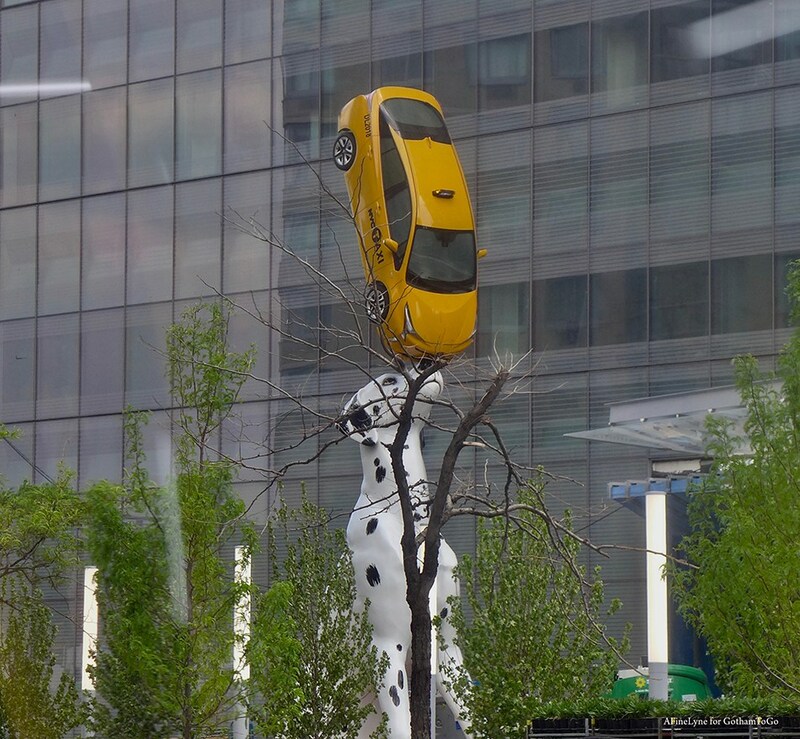 The taxi is a Prius, donated to the artist by Toyota for this piece, complete with working lights and wipers that work when it rains. 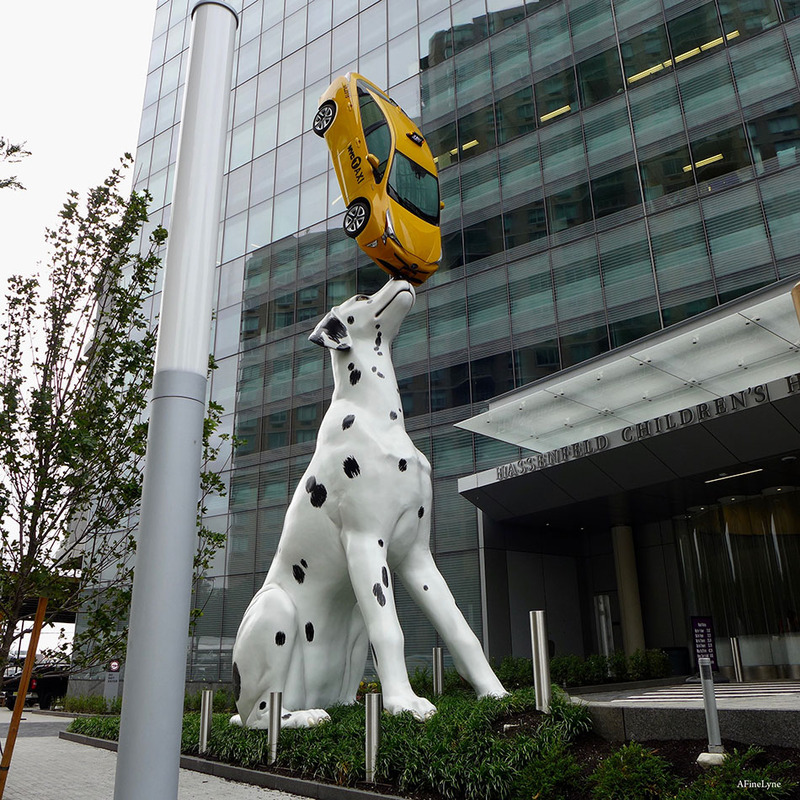 The Dalmatian is made of fiberglass by FAST Corp. that has been detailed on their website. 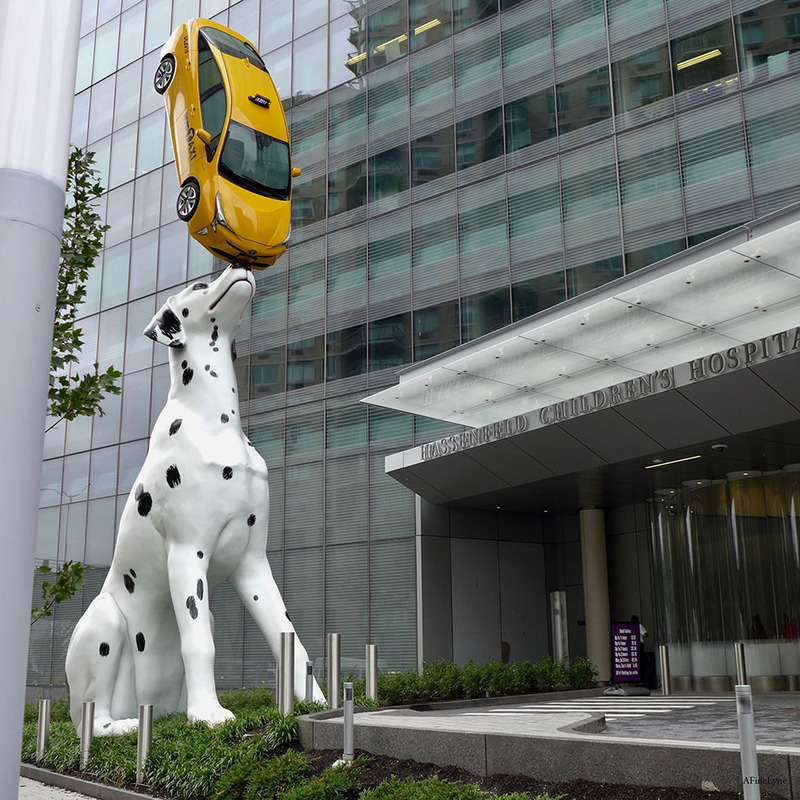 Hassenfeld Children’s Hospital at NYU Langone, and ‘Spot‘, are located on 34th Street at First Avenue. 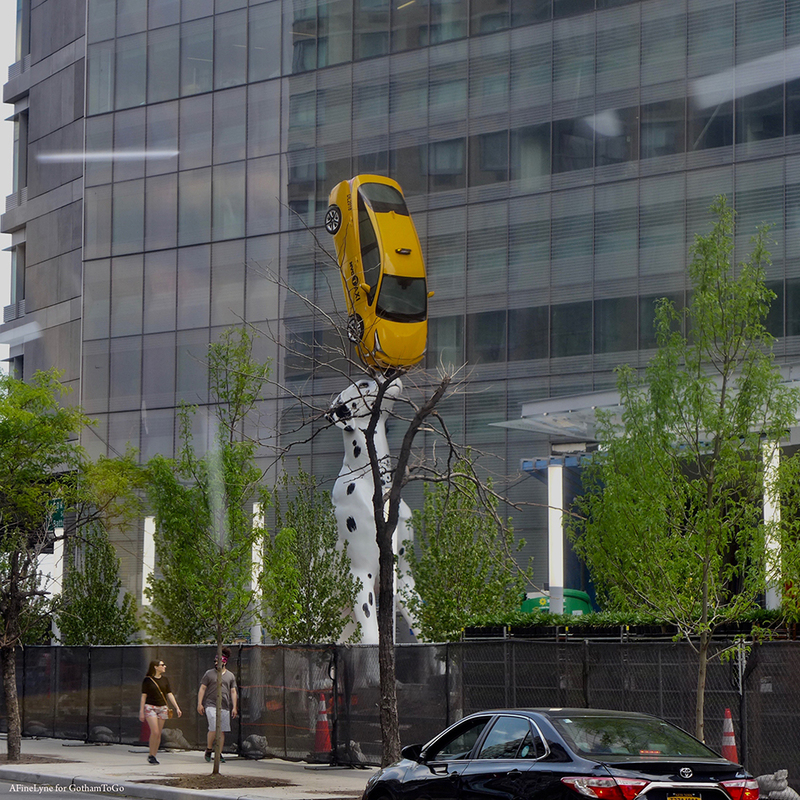 See more public art by Donald Lipski Here.